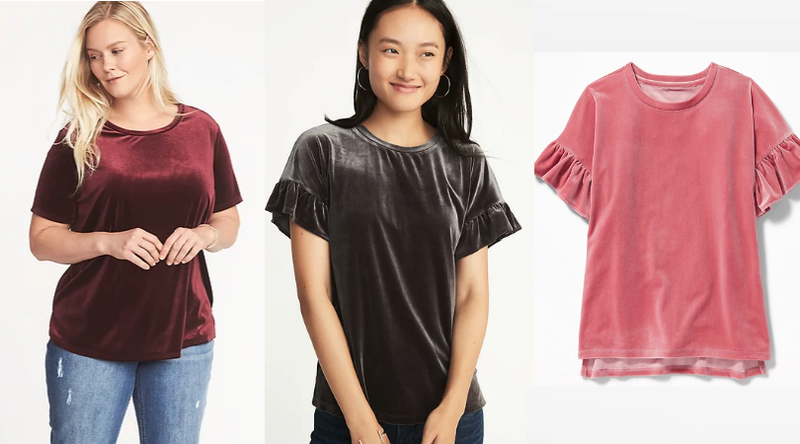 Today, 12/3 only and while supplies last, Old Navy is offering Velvet Tops for Women on sale for $8 and Girls only $7. There were a few different styles and several colors to choose from in sizes XS -4X. Shipping is free at $50 or you may be able to choose free in store pickup if available near you. 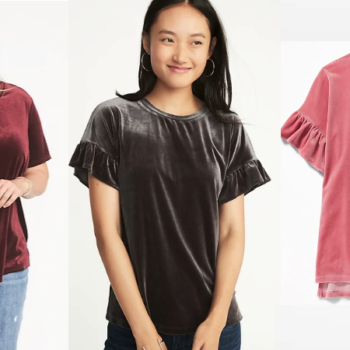 If you have any more shopping to do, they are also offering 25% off your order at checkout (excluding one day and hot deals).